Portals « Jorge's Quest For Knowledge! I noticed that Azure AD is now available from the new Azure Portal as you can see below. Navigate to https://portal.azure.com/ and you should now see “Azure Active Directory” in the left column. When you click on that the tab expands to the right instead of taking you to the classic portal. 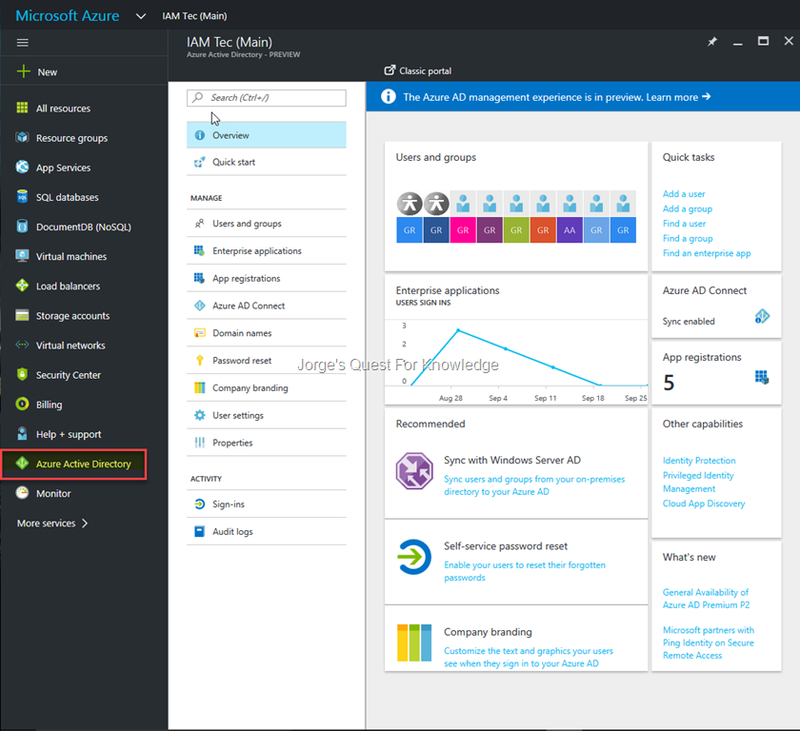 …or configure Azure AD components as you were able to do so in the Classic Portal under the “Configure” tab. For that, unfortunately, you still need the classic portal.